This page is an overview of the essentials for success you need to get the most out of Restless Chipotle. Please take a few minutes to read over this page, bookmark it for future reference, and refer to it often. 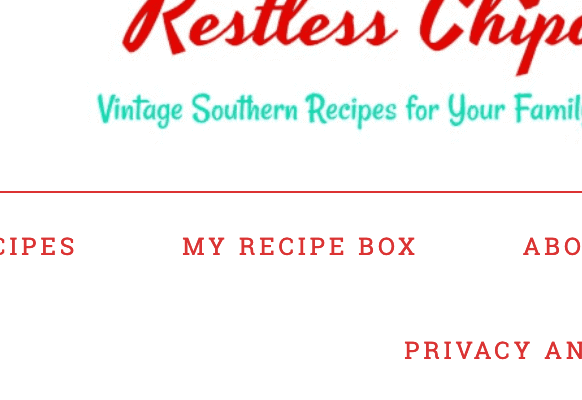 The recipes on Restless Chipotle aren’t difficult for the most part but there are some things that you’ll need to know like pan sizes, basic ingredients, and tips & tricks that I’ve learned over the years. 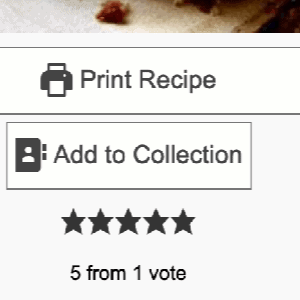 You can find all of the recipes sorted by category in the recipe index. 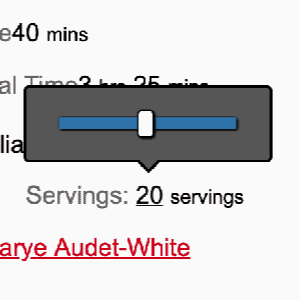 If you hover over the number of servings at the top of the recipe you’ll be able to change the number of servings up or down and the measurements in the recipe will be adjusted at the same time. You can save recipes, make menus, and even print grocery lists for the week from your personal recipe box. 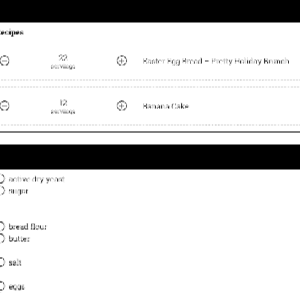 Go to your recipe box and click on the recipes you want to make a shopping list from. Then click on create list and print. Recipes are tested several times and often tested by others that I’ve asked to test them. If you have a problem or a recipe seems to be missing an ingredient or instruction please just let me know. Human error thrives at my house. ALWAYS read through the recipe twice before beginning. Make sure you understand the ingredients and techniques that are specified. Measure all the ingredients before you begin. There’s nothing worse than finding out halfway through a recipe that you need 2 cups of sugar and you only have 1-1/4. Don’t make substitutions the first few times you make a recipe! They’ve been developed for success with the ingredients used. For example, please don’t substitute milk + vinegar for buttermilk in the honey buttermilk bread recipe. It doesn’t work as well. Make sure the ingredients are at room temperature unless otherwise noted. This makes a big difference in the final product. Measure correctly. Don’t eyeball the measurements. Here you’ll find links to the products that I use in these recipes. Sometimes brand doesn’t matter but sometimes it does. If I’ve listed a brand here it’s because it’s the one I use exclusively and trust. Thermometer – You’ll need this for making candy, testing the temperature of liquids used in breadmaking, grilling meat…all kinds of things. Try the INSTANT READ THERMOMETER by Lucia’s Cookware . Bosch Universal Plus – OK. Here’s where I am spoiled. I have both a KA and a Bosch. The KA mixes up cakes, meringues, and light doughs beautifully but is not so great on heavy bread doughs. I know there are people who will disagree and that’s fine…BUT… I make 6 pounds of whole wheat dough at a time in my Bosch and it kneads it to light airy perfection. My KA just can’t keep up. If you rarely make bread then the KA is probably fine but if you plan on making yeast dough at least once a week I encourage you to save up for the Bosch. Once you try it you’ll totally understand. Bosch Universal Plus Kitchen Machine will also make cookies, cakes, and meringues but I think the KA does those things better. The Bosch has a blender and a food processor attachment as well. KitchenAid Pro Mixer – Yep, I have one of these, too. 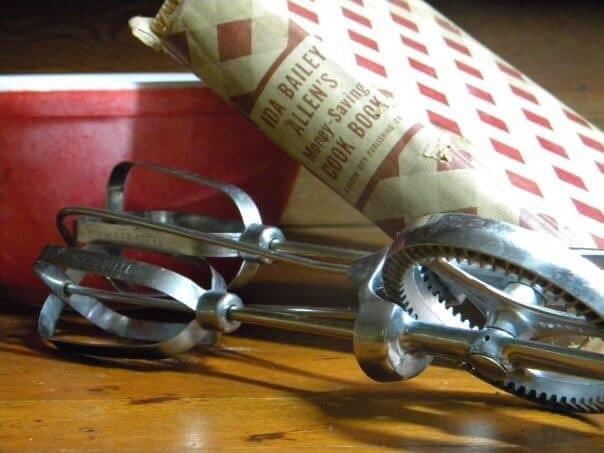 When it’s time to make light batter items there is nothing that can touch this mixer. Mine is cherry red of course! KitchenAid Professional 600 Series 6-Quart Stand Mixer I also have the KitchenAid FGA Food Grinder Attachment because I like to grind chuck roasts for hamburger and make sausage. Bamboo Kitchen Tools – My husband bought me these as a no-reason gift and I was unsure about them but once I got used to using them I love them. I use them all the time. I have sensory processing disorder and there are some textures that I just can’t stand but these are smooth and comfortable. They don’t scratch pans, they don’t get hot, and they clean up easily. I don’t put mine in the dishwasher, though. 6 Set of Bamboo Kitchen Tools. Of course you’ll need measuring cups, measuring spoons, etc. but you certainly can choose what you like there. I do suggest you have glass measuring cups for measuring liquids. I have 1 cup, 2 cup, and 4 cup glass measuring cups then a normal set of measuring cups for dry ingredients. Lavender Balsamic Vinegar – Lavender Balsamic Vinegar is fantastic! Oh, I like many different kinds of flavored vinegars but this is one I have fallen in LOVE with! The flavor is Floral, sweet and herbaceous. White Lily Self Rising Flour – White Lily is a MUST for real Southern biscuits. So here’s a list of pages and posts you might not otherwise see. Lots of information about lots of techniques.